#FFFFFFT Resistance Bands for Workout Home Fitness - Starting at Just $9.99! 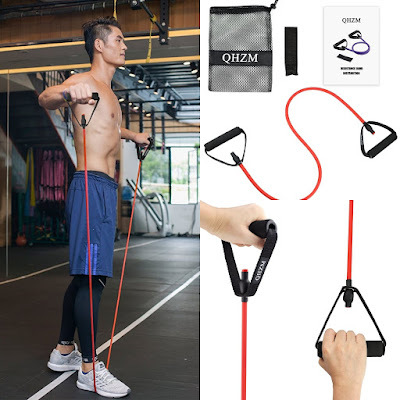 Check out these #FFFFFFT Resistance Bands for Training, Physical Therapy,Workout Home Fitness and Pilates on Amazon for Starting at $9.99 + FREE Shipping w/Prime! 100% Satisfaction GUARANTEE:if you are not 100% satisfied with your purchase,let us know and we'll provide you with a full refund. These resistance bands are a great addition to your home gym. I have them myself and love them! It's a great way to get a good work out when I don't have time to go to the gym.